The holidays are a time for friends and family to come together and enjoy one another’s company — but what if your living room isn’t up to the task? We’ve collected some fantastic ideas for creating a functional living room that’s big on style. Incorporate some (or all!) of these tips into your space, and folks will flock to this cozy spot in no time. 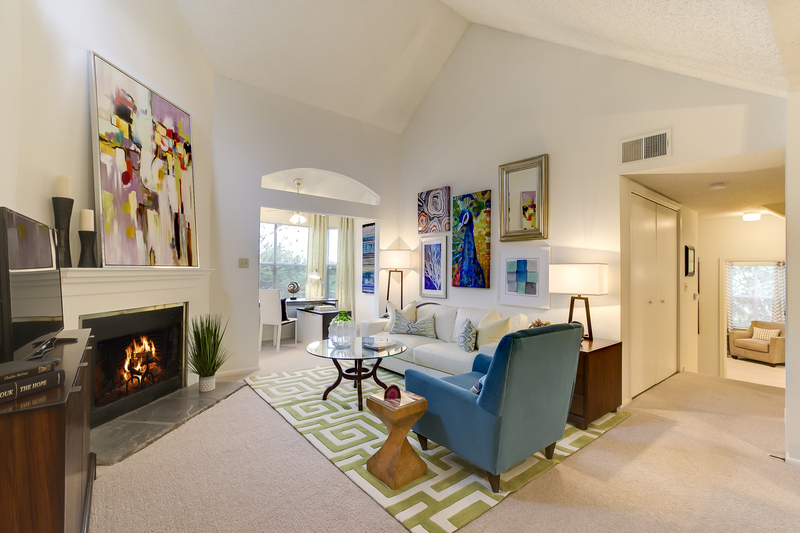 An airy yet cozy room at Citrus Creek West. Lighter colors are typically best for a living room because they can make a space feel larger and more airy. If your living room is part of an open floor plan, opt for a color that complements your kitchen decor to create a cohesive look. Even if you have carpet, an area rug helps designate the confines of the living room and adds an extra layer of comfort and style. Area rugs can introduce texture and color into a space, and can also serve as a basis for choosing other decor like curtains, pillows, and artwork. Dark, easy-clean furniture like this leather sofa can be an asset in the living room. When possible, opt for wipe-clean seating like a leather couch, or slipcovers that can be easily removed and washed. If the aim is to create a room everyone can enjoy (maybe even furry friends!) you’ll want to rely on pieces that are as functional as they are comfortable. When in doubt, choose dark colors for your furniture to help hide stains, and keep the rest of your decor light and airy. Choose double-duty pieces like storage ottomans or trunks that can double as coffee tables. Then, fill them with living room essentials like board games, spare batteries for the remote, and extra blankets. Oversized wicker baskets filled with accent pillows are another way to incorporate texture while also adding storage. Most living rooms are a primetime spot to watch TV, so use this simple trick to know how far away to place the TV from the sofa: multiply the size of your TV by 1.5. For example, if you have a 40″ television, the sofa should be at least 60″ (5 feet) away. Remember to place the TV at the right level so that your eye naturally gazes toward the middle of the screen when you’re sitting on the sofa. With beautiful fall temperatures, we’re making the most of our time outside at the Farmers Market in Citrus Creek Apartments, one of many communities within our River Ridge apartments. Whether or not you live at Citrus Creek (or maybe you’re interested in moving there), you’re welcome to stop by our next Farmers Market on Thursday, November 17 from 4 until 7 p.m. Browse or buy locally grown and made food and objects at this outdoor, River Ridge market centrally located in the middle of Elmwood at 5301 Citrus Blvd, Elmwood, LA 70123! We’re providing all the entertainment, too, with live music as you shop and mingle with your neighbors. Oh, and it’s dog-friendly! Locally made cookies are among the many goodies you’ll find at our Citrus Creek Farmers Market on August 25. Hope to see you there! So, what can you expect at this Farmers Market? Goods and wares from 9 different vendors, including items like pepper jelly, teacakes, frozen entrees, organic veggies and produce, trail mix and jerky, candy and cookies, bread pudding, soaps and shaving products. Plus, the LA-SPCA will be holding a dog/cat adoption as well from 4-6 p.m.! In addition to the array of locally made products available at the Farmers Market, we will also have staff on hand to give tours of the property and answer any questions you may have about Citrus Creek or our other River Ridge apartments. Some of the very best memories are made around the dinner table, whether at a dinner party or maybe even just while chowing down on leftovers. Dining tables represent a place to sit down together and share a meal while also sharing time with one another: sit-down meals nourish both the body and the heart! With this simple truth in mind, we’re sharing a few of our favorite tips for creating a special dining environment on what is perhaps the ultimate in shared meals: Thanksgiving. The food is usually the centerpiece of this annual meal, but beautiful table settings can amplify the hard work you’ve put into that roasted turkey or sweet potato pie. Whether your decor taste leans rustic or elegant, keep reading for some seriously stylish ideas. Stick to a perennially fresh color scheme of blue, white, and wood. Prints like ikats in blue and white create a warm and welcome basis for the rest of your tablescape, which could include items like natural white gourds, burlap or linen napkins, and simple white plates. We love the addition of natural spices here, too, like cinnamon sticks. Try tying up your napkins with twine and sliding a cinnamon stick through each for a cohesive look. Add a bit of mystery by using deep, jewel-tone colors and rich textures. A velvet table cloth in an eye-catching shade like plum or emerald green is a great place to start. From there, try adding lux greenery like cabbage roses and ferns. Gold flatware and candlesticks are a must to tie everything together. Go all out with a nature-inspired table! Start with a wood table and add a simple runner. From there, use glass vases and fill them with items like pine cones and acorns. Add fresh herbs like sage and rosemary into the mix, whether scattered across the table, in rustic mason jars, or even tied together and placed on top of each place setting. Branches, berries, and baby pumpkins all make sense within this serene tablescape, too. Use LED candles for worry-free ambience. Think of using fruits and vegetables within your décor: winter citrus adds a pop of color, while gourds bring in a traditional Thanksgiving vibe. Cinnamon sticks, pears, and oranges studded with cloves are all beautiful additions to the table. Incorporate metallic elements beyond your flatware: mercury glass candleholders and glittered pinecones will create a glimmering vibe. Fall and winter bring a host of healthy-eating pitfalls — just ask Halloween, Thanksgiving, and Christmas. In addition to feeling tempted by decadent foods, people often don’t have extra time to cook thanks to busy schedules during the holiday season. Fortunately, if you live in the Metairie, Kenner, and River Ridge areas, there are plenty of fresh, healthy dining options to keep your hunger and your health in check. Unsure of what to order? No matter which restaurant you choose, nutritionists suggest swapping standard sides for a healthier pick like vegetables, choosing entrees that are steamed, trading white rice for brown rice, and skipping empty calories like bread or tortilla chips. Pho Orchid for all things pho! 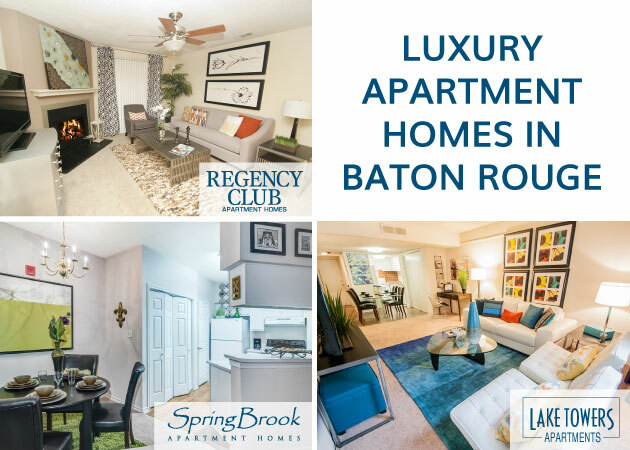 Looking for a short-term living option that’s as comfortable as it is convenient? Enter our corporate extended stay apartments. Contact us today for more information, or visit this page to get the full scoop! Check out a few reasons why we love our 1st Lake corporate apartment options below. Our corporate extended stay apartments are a fantastic option for professionals working in Greater New Orleans. In addition to quick, easy proximity to downtown, our corporate extended stay apartments are the key to convenient temporary living. 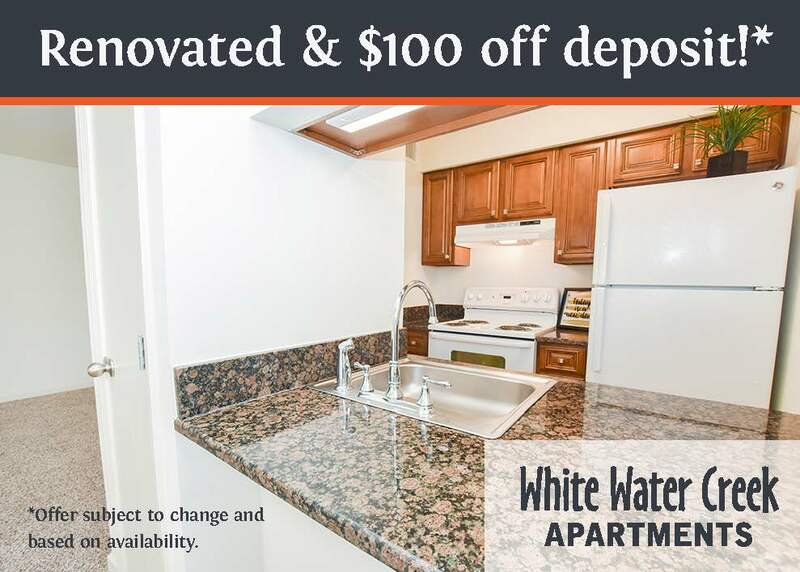 Contact us today for more information on these turn-key extended stay apartments!